so the seats will be able to rotate it seems. 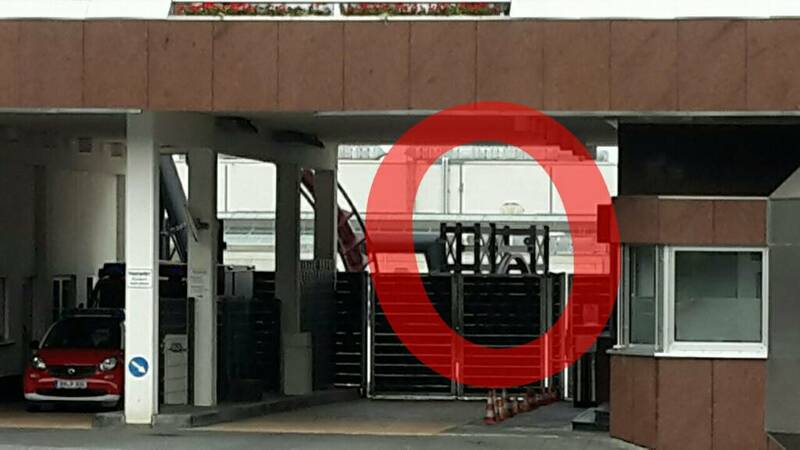 I wonder if it's just for loading/unloading or will they rotate during the ride as well? They could do an awesome dark ride section with this, let's hope. I think they will do it in order to get the 'worlds longest' claim. That is the only way I can image it happening. A flyer with the size of Flying Dinosaur or Tatsu probably won't fit in the small area. So by having a darkride section in addition to the coaster section, it'll be relatively easier to make such a long track. Making the pre-lift or launch section a bit longer is a great idea! I assume so! 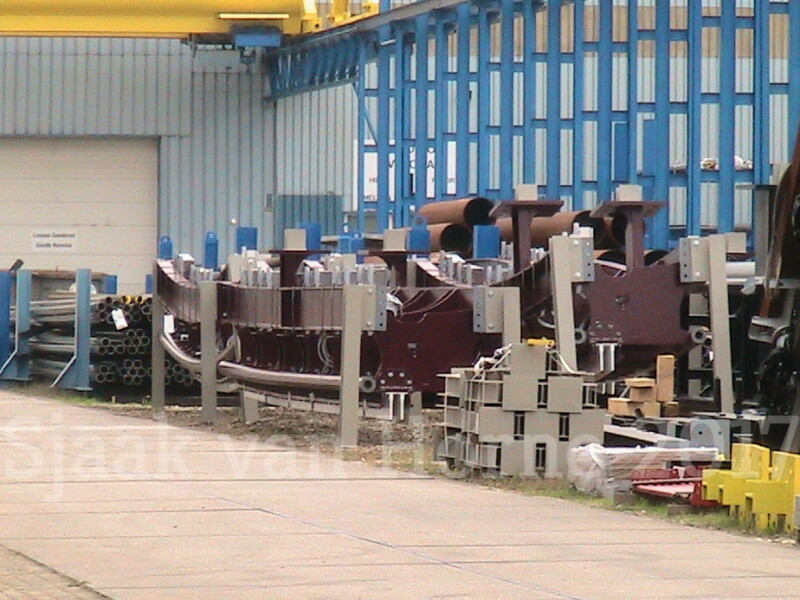 Launch track was spotted at the Vekoma plant! Strange that it's curved so much. Yes, what will it be? Raises so many possibilities, exciting! Strange indeed. I think there are two possibilities (maybe 3) 1a. A very long launch, entered at a downward angle, leaving at upward angle. 1b multiple launches. 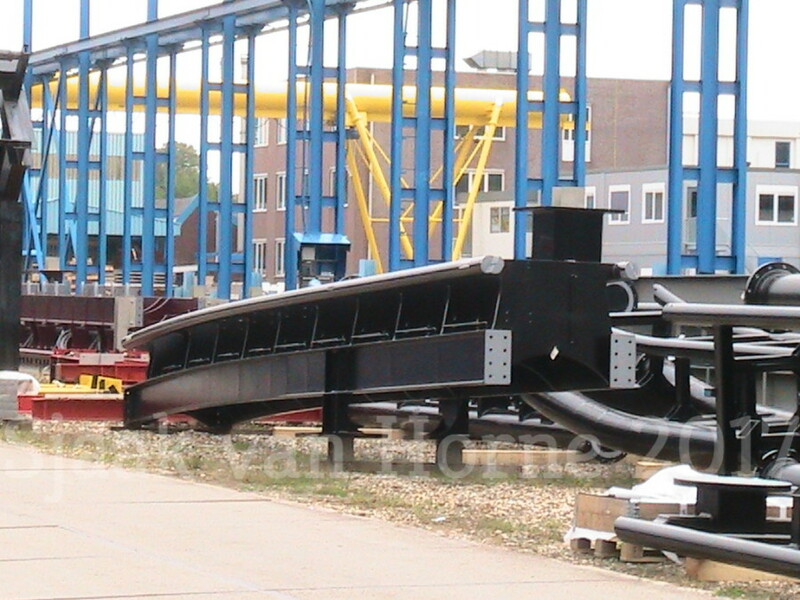 Option 2: they are not a launchtrack, but are darkride sections (when the coaches have not yet rotated to flying position). I mean, it's not beyond all posibility right? I'm really not sure what to expect with this ride anymore. well, the radius of these curves looks too tight for a launch section. My best bet is that they are actually pieces of powered sideways track. A turn out of the station perhaps, or indeed a darkride section. Surely if that was the case, the track would have tyres, not fins? This is very intriguing. Vekoma finally learned how to keep our eyes on their work. I'm still eager to see how this will operate once complete. The sit-to-fly configuration is all but clear to me, and those trains look interesting. I hope those thin vest straps are comfortable enough for flight. 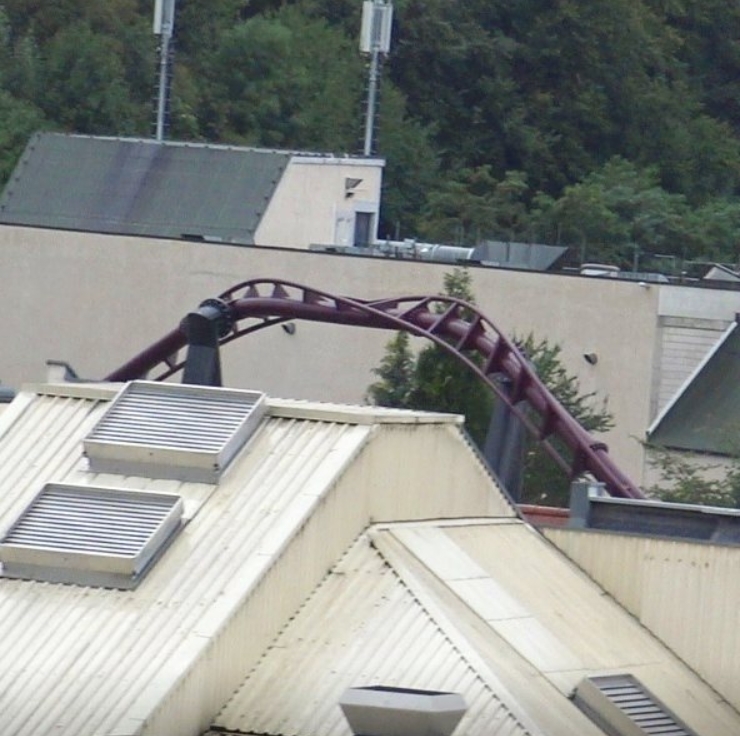 It indeed is the noticeable evolution of Vekoma! They're exactly on the track! Last Saturday I was at the park for their anniversary. It was really busy but they stayed open until midnight and had a really cool firework show. I tried to take some pictures of the track but they decided to put an extra fence at the place where we took our photos during the European trip so that the coaster paparazzi can't take a good picture anymore. From the minetrain you had a pretty good view over the finished zero g roll / corkscrew but sadly you're not allowed to take pictures on the coasters. 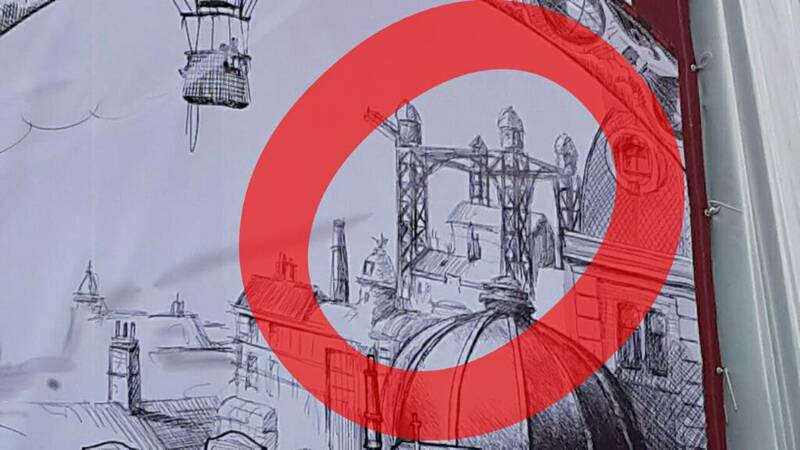 Based on some concept art we might know what the truss structure will be. ^^ + ^ Happy capturing construction pieces! Kudos to them! ^^ Kudos to you, too! What a beautiful roll! 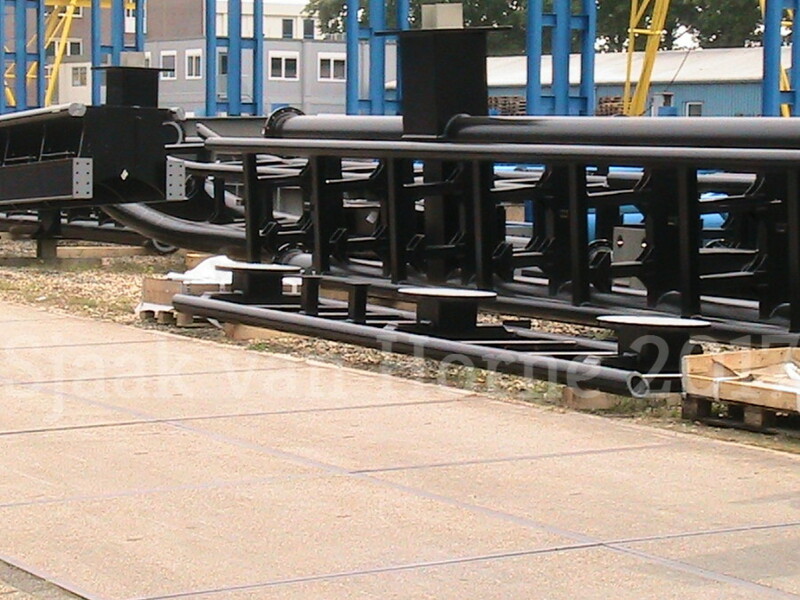 New track at Vekoma Vlodrop, this track is black (maybe for the inside section). 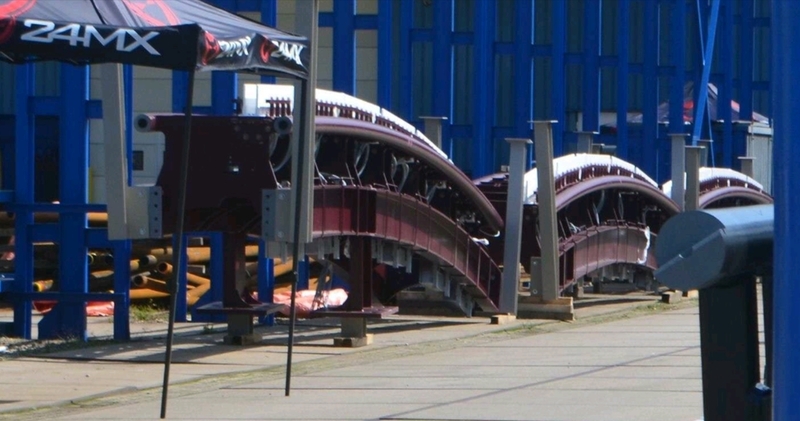 Also the big curved track with LSM's left Vlodrop and we can hopefully see them at the park soon. And we finally have a testing video that shows the train rotating. It looks so cool. Intriguing techniques are in use, but just stay cool, guys! Excitement! Ahhh, I see. Very cool. That will make for a cool "sit to fly" vibe, especially for the start of the ride. 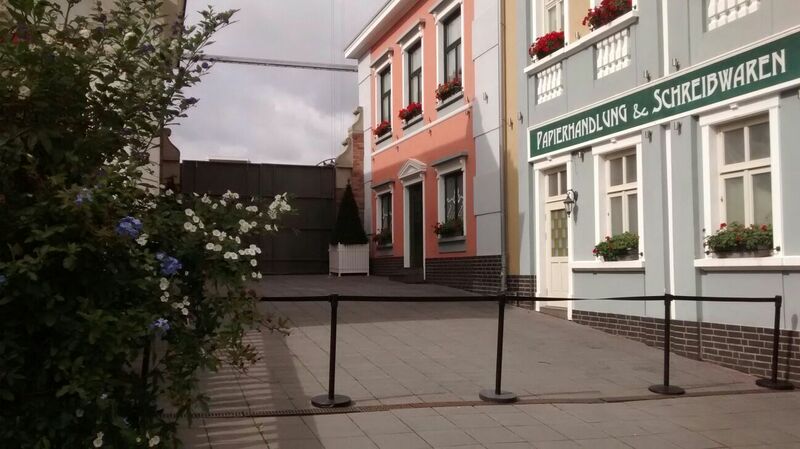 Definitely something that would work for darkride section eventually progressing into a flying section.